Organic wine is made according to EU organic winemaking standards from grapes that have been grown according to the principles of organic farming. Care for the soil is a key element of organic viticulture which encourages the use of natural composts and excludes the use of chemical fertilisers and systemic chemicals sprays, including pesticides, fungicides and herbicides. Organic standards also encourage the highest levels of wildlife conservation. Organic winemakers believe that organic viticulture produces premium fruit and ultimately better quality wine. Many people appreciate the benefits of an organic lifestyle and wine drinkers are becoming increasingly aware of potential allergies to chemical additives in the wine making process, especially sulphite levels which are kept to minimum in organic wine. 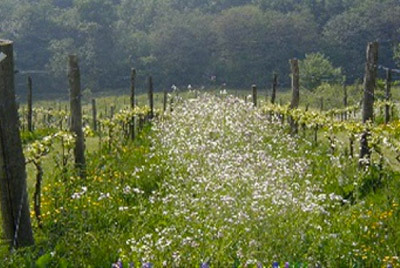 Around 18 UK vineyards are registered organic by either the Soil Association, Organic Farmers and Growers or Demeter (Biodynamic). Vineyards and wineries are rigorously inspected annually to ensure that the organic standards are being adhered to. 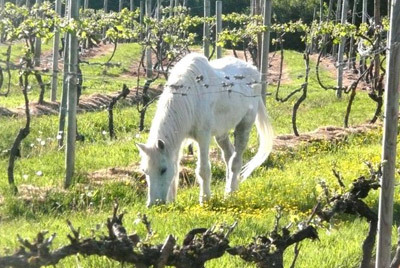 The Differences between Conventional, Organic and Biodynamic Viticulture and Winemaking (Albury Organic Vineyard). Wine Growing in Great Britain by Stephen Skelton (chapter 14).